Brighten a bedroom or buffet table with this set of modern lamps from 360 Lighting, each of which features a sleek brushed nickel finish. This eye-catching pair of table lamps from 360 Lighting will change the layout of your living room or bedroom. With a stunning brushed nickel finish, this set is a perfect example of transitional style. Elegant yet modern it's sure to light up your decor. Set of 2 table lamps. Each is 28 1/4" high. Bases are 5 1/2" wide. Shades are 12" across the top x 15" across the bottom x 10" high. Weighs 7.3 lbs. Uses one maximum 100 watt standard-medium base bulb per lamp (not included). On-off socket switches. 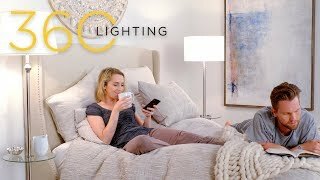 From the 360 Lighting brand of modern table lamps. White drum lamp shades with ball finial. 8-foot long cord and plug. 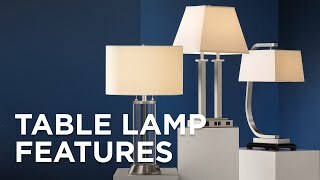 These are beautiful lamps at a great price. We've already bought two and loved them so much we had to come back for two more. 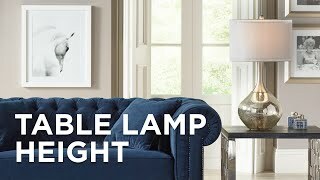 You have a wonderful website with some gorgeous lamps. great price, simple and I think it will look great with my new bedroom set. The base is very elegant & the brushed nickel [...] matches the drawer pulls on my nightstands. The lamp will dress up any bedding used. They are tall enough to reflect light down while reading. The shades have a touch of color that adds to the elegance of this lamp and are not overpowering, just right. I searched for days and am very happy to have found a lamp that I couldn’t leave behind. I needed something neutral for my nieces new apt. her old apt burnt down. And I am just trying to help with some starter piece that might work for her. I liked the overall height of these lamps also. Clean & simple lines will fit any room in the house, all my ceiling fixtures are brushed nickel. 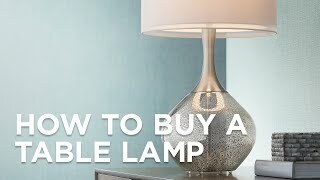 Is the lamp 3 way? BEST ANSWER: Hi - This does not include a 3-way socket. This includes an on/off socket switch. 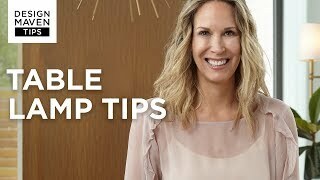 But, try adding a table top dimmer to provide that versatility you may be looking for. Very pleased, item exactly as described. perfect for what I need them for. nice quality but not the price is lower. they owe me a coupon for my next order. An oversized white shade and rounded brushed nickel base combine on this contemporary table lamp to create a stunning silhouette. Add a sculptural element to your decor with this small accent table lampwhich features a delightful bird profile base. Add a contemporary touch to any room with this set of two aqua blue ceramic accent table lamps featuring a charming diamond pattern. The perfect combination of nautical traditionalism and modern expressionismthis set of two table lamps features a classic navy hue with elongated geometric cut-outs.